Abstract paintings for sale. Original, modern art. Over 500 paintings to choose from, perfect for conference rooms, lobbies, offices, surgeries or beautiful homes. 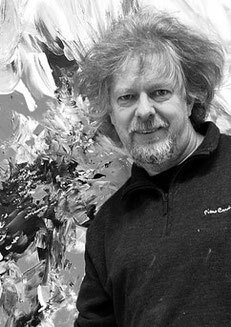 All of the paintings in my gallery have been lovingly created and signed by myself, Peter Nottrott. Title: "Stick: Nature Abstraction 1"
Size: 78.8" x 27.6" width x 1.5" depth. Title: "Amazing Dreamworld XL 1"
Title: "Yellow And Pink L 1"
Title: " Glowing Magenta XL1"
Size: 61.0 " width x 41.3" height x 1.5"
Size: extra large ... 196.8" width x 78.8" height ! Abstract modern paintings to own. Acrylic on canvas. Many large-format images. All original created and signed by myself. I have over 500 abstract paintings waiting for you to enjoy. Immerse yourself in my unique world of colors and shapes. I paint from the heart and strive to create works that have great vitality and energy, artwork that captivates and creates a private space, a special ambiance. 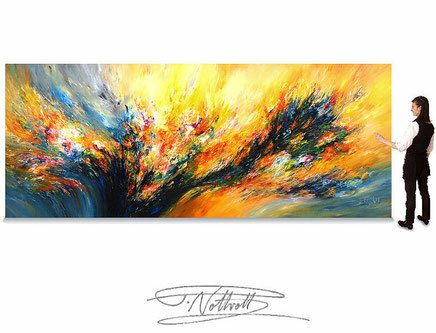 Abstract art comes exclusively from the state of consciousness and imagination of the artist..
Abstract painting does not have any real world influences. 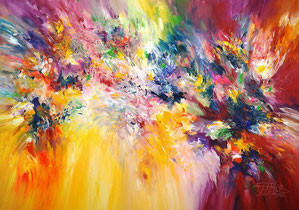 This makes abstract art uniquely different from other styles such as Impressionism, Expressionism and Cubism. In all the other styles, everyday themes such as landscapes or people are used as a template, as a starting point. Depending on the style, there certainly can be dramatic changes in color and shape, but they always remain interpretations of reality. Abstract art deliberately avoids completely any association with the real world. The pioneers of this completely free form were Wassily Kandinsky(1866-1944) and Frantisek Kupka(1871-1957). I am a passionate advocate of free, abstract painting. My paintings are free from the constraints of perspective, color and form, which force themselves onto other styles of painting. 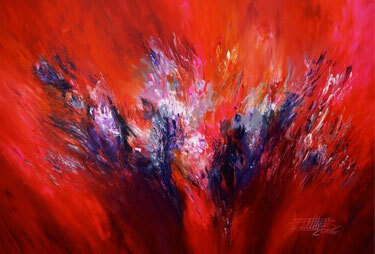 My abstract paintings are powerful, energetic and alive. 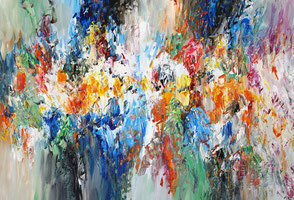 They are like symphonies of color in acrylic on canvas.